Warm Holiday wishes to you! 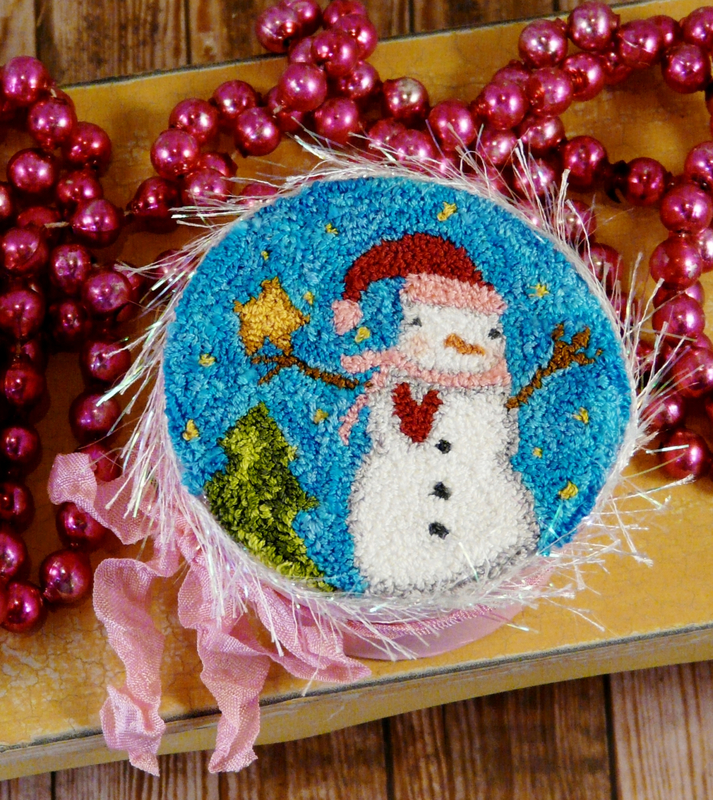 This sweet snowman is putting the star on the tree. 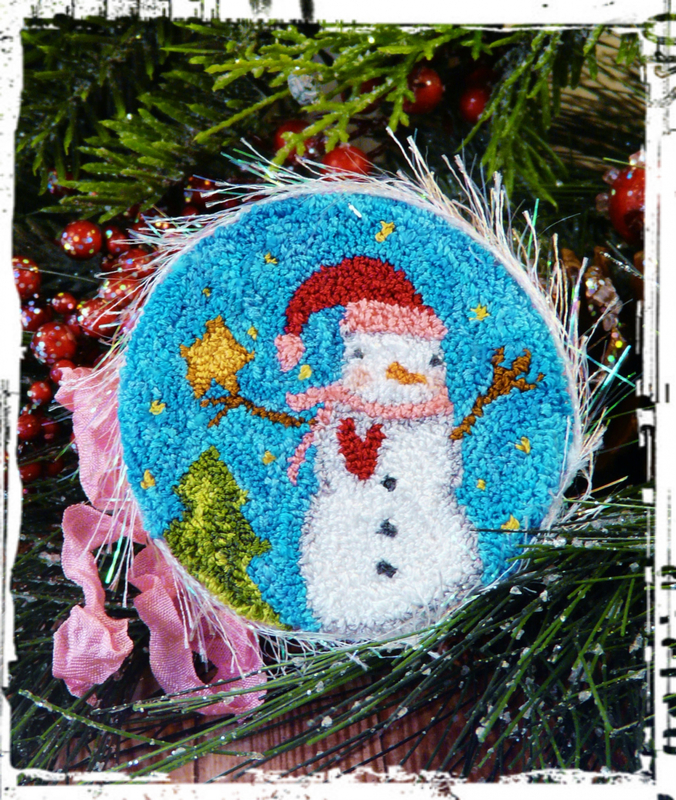 Celebrate this beautiful winter season...this punch needle design is perfect for your holiday & home decor or great as a gift! Variegated floss is used to give great texture and depth. 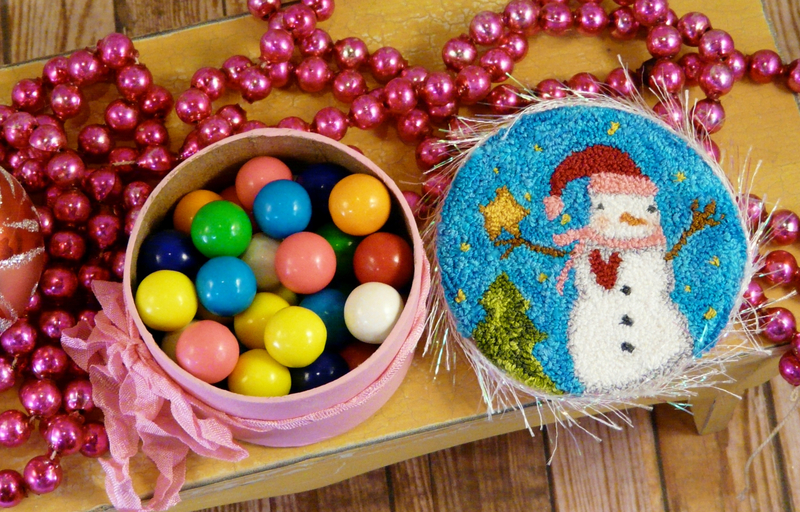 What a cute box topper & handy to store little supplies, Gum balls or treats. This punches up fast & is very easy. The box is paper mache (1 Dollar at jo ann fabrics). The white trim is lovely. Finished punched design measures: 3 1/8" x 3 1/8"